The longtime anchor tenant of the mall decides not to be part of major redevelopment. As Northgate Mall goes through a major overhaul, at least one of its longtime department store retailers, JCPenney, is making plans to close next year. A spokesman for the 116-year-old company said Monday the store will shut down sometime in 2019. JCPenney “made the decision not to be part of the new development” of Northgate Mall, company spokesman Joey Thomas said via email. JCPenney opened its Northgate store in August 1965, 15 years after the shopping center itself opened. The mall, adjacent to a Link light rail stop scheduled to open in 2021, is being redeveloped as a mixed-use center with retail, residential and commercial space. On Monday, the NHL Seattle franchise group announced plans for a $70 million, 180,000-square-foot practice facility — including three ice rinks — on property on the east side of the mall, though representatives of mall owner Simon Property Group said the exact layout is still being determined. Simon Mall chief operating officer Michael E. McCarty was noncommittal when asked at the ice rink announcement earlier Monday about the future of JCPenney, which anchors the mall’s southwest corner, and Macy’s, which has a huge footprint amid a sea of parking lots on the east side. A spokesperson for Nordstrom, which also has a large department store at Northgate, had no comment about the location. JCPenney will “go to great lengths” to relocate store leaders and assist other employees in finding jobs at nearby company stores and provide severance benefits including career training and placement assistance for those who do not stay with the company, Thomas said. A closing date is still to be determined. Like other retailers, particularly older department stores, JCPenney has been closing stores across the country as it tries to reinvent its business model in the era of online shopping. In its last fiscal year, the company closed 141 stores. It still has more than 860. The company recently announced a new chief executive, Jill Soltau. 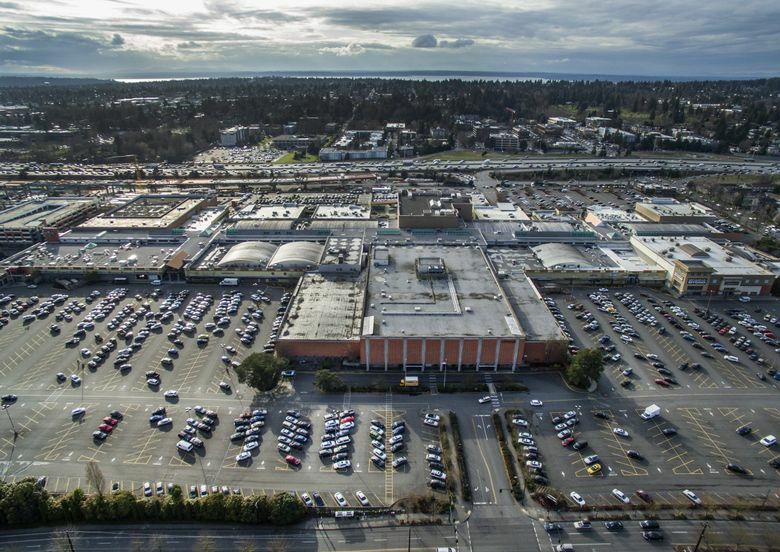 The land under all three of the major Northgate department stores is owned separately from the broader mall, according to King County assessor records. The JCPenney store, owned by the Plano, Texas-based company, is about 169,000 square feet across two floors. It was appraised this year at $8.2 million, according to assessor records. Macy’s is on an 11.5 acre parcel, including 303,000 square feet on two floors and a large parking lot, owned by Federated Department Stores and appraised at $34.8 million. Seattle Times reporter Geoff Baker contributed to this report.